HOWYWOOD KINDERGARTEN! 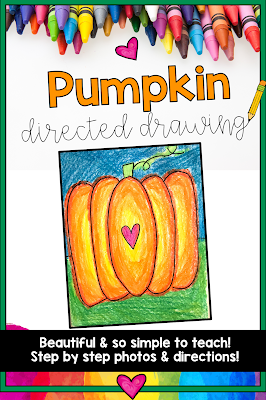 : Pumpkin Directed Drawings! 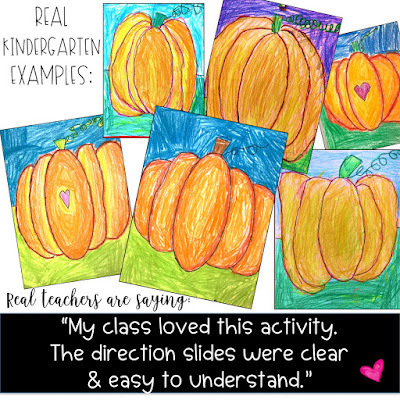 Looking for a fabulous October art project to hang in your classroom? These are seriously SO beautiful! My entire team of six kindergarten teachers tried these out for the first time this year and we all fell in love... and now the artwork looks so gorgeous hanging in our classrooms and hallways. I ADORE how directed drawings build kid's artistic confidence and listening / direction following skills at the same time. It's so good for them (and always insightful for us teachers to see how well everyone follows along!). 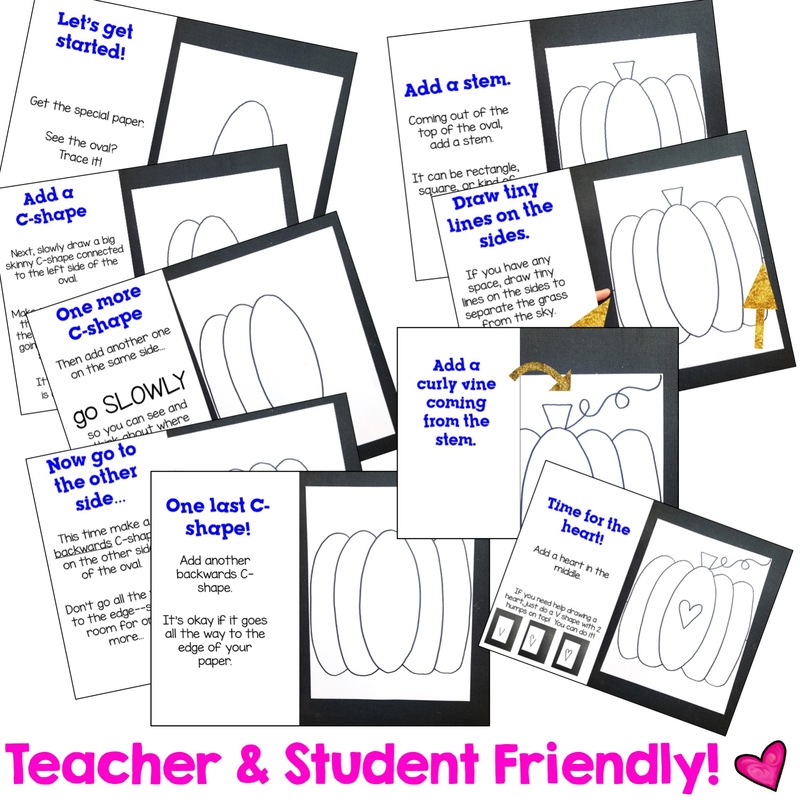 My ultimate plan is to do a fun directed drawing project with my class each month, save them in page protectors and then put them all into an easy, affordable end-of-the-year gift for the kids (that they kinda made for themselves- lol- how sneaky of me)! It's sure to be a "keeper" families will treasure. 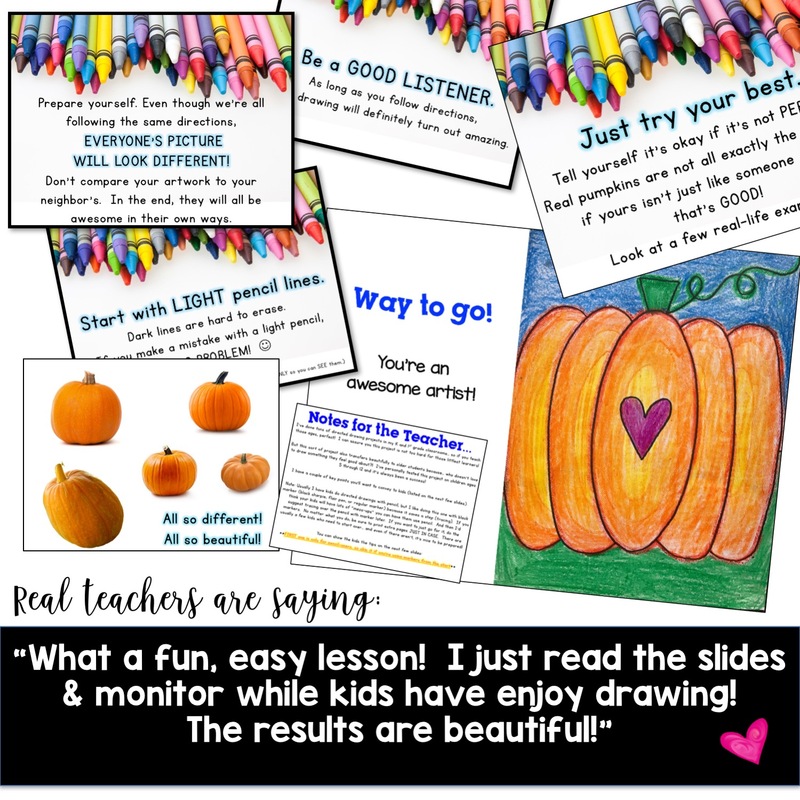 ✏️ A gorgeous, full color show that guides everyone step-by-step through the pumpkin drawing process (pic below shows some drawing slides, but there are also a bunch of coloring directions included- not shown). You get detailed photos, clear explanations worded in ways that kids understand, tips and reassurance for artists, and loads of creative variations so all YOU have to do is flip through this show and read what it says aloud, one page at a time. Super simple to teach! Feel free to do it with OR without the heart in the middle. I think it looks fantastic either way. And if you're interested in checking out the BUNDLE to have something beautiful to draw each month, you'll find that HERE! 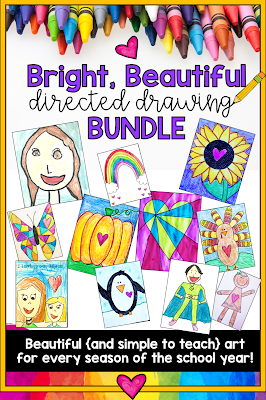 11 drawings include: Self Portraits, Pumpkins, Turkeys, Gingerbread Kids, Penguins, Pop Art Hearts, Rainbows, Sunflowers, Mother's Day Portraits (a drawing of the student & one other person- could be dad, grandparents or anyone! ), Superhero, and Butterflies. You can also buy any of these individually HERE. 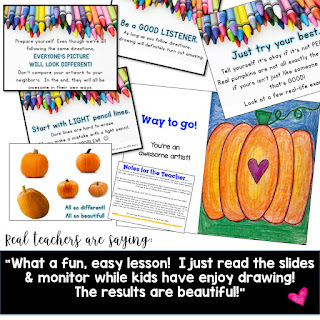 Have so much fun creating a BRIGHT, BEAUTIFUL school year for yourself & your students!